If you like breath-taking sunsets, bright stars, and country living this might be the right place for you! This 3 bedroom/3 full bathroom home is a hidden gem. Offering 1659 sq. ft. of open living space, this home is great for entertaining and hosting friends and family. Inside you will find newer high-end appliances, a deep kitchen sink, laminate flooring, ceiling fans, indoor laundry room with high efficiency washer and dryer, dual pane windows, an abundance of natural light throughout the home and so much more! Additional features include an extra large master suite with a walk in closet and full en-suite bathroom. 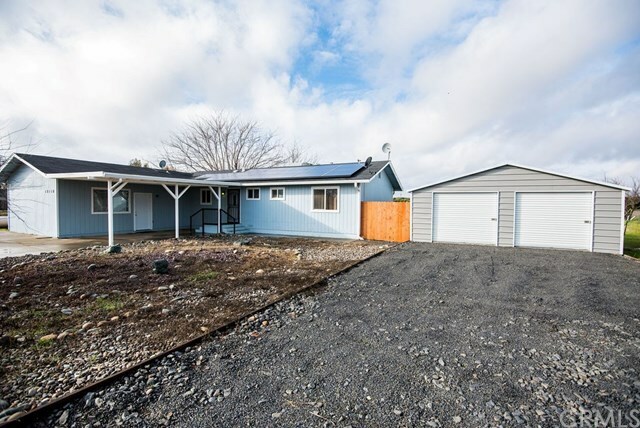 Exterior features include a large detached two car garage with electricity, leased solar which provides a significant savings as most of the home has been converted to electric, .79 acres of fully fenced yard and beautiful country views. Possibly the best part of this property is its central location. Positioned 4 miles to Highway 70 and 15 minutes to Oroville, Gridley, and Marysville. Enjoy the private country living experience while being only a short drive to everything you need. Selling Office: Calyx Realty Inc.